Welcome to happy cars avenue! This 13 x 13 bounce house has a cartoon theme for the best car theme around. 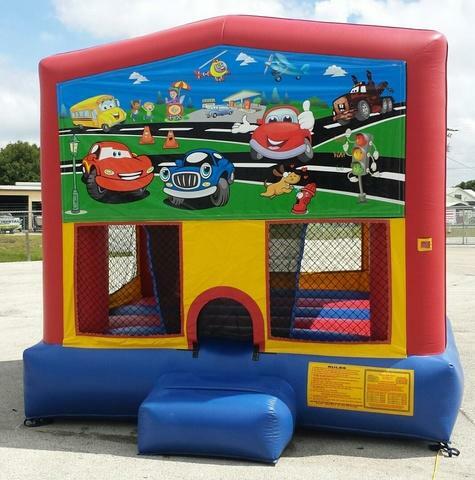 Inflatable comes with an attatched entrance step under the bright colored art panel installed over the jumping area.